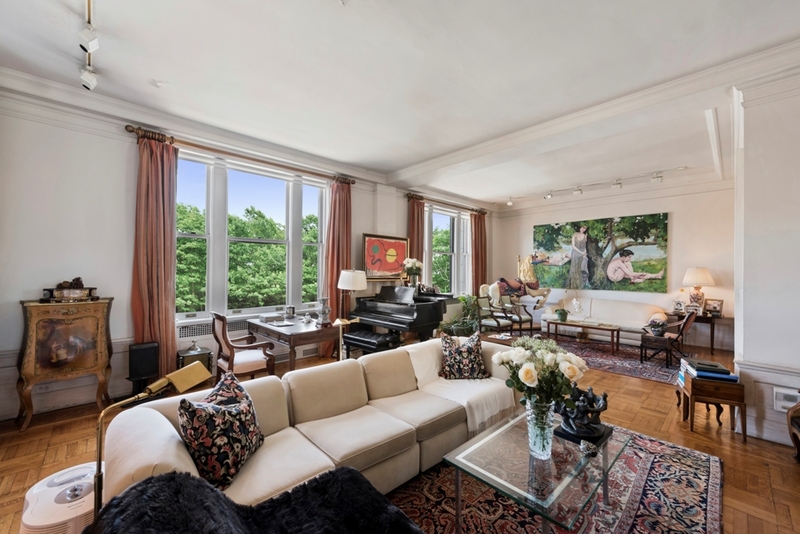 Extraordinary and rarely available South corner 9 room residence with 50 +/- feet of direct Central Park views now available in one of the most sought after buildings on Central Park West. The Brentmore was designed by renowned architects Schwartz and Gross in 1910 and is a stunning example of the Beaux Art style of the time. Filled with Old world charm, grand rooms, fine decorative moldings, oversized windows, high ceilings, and tons of original details. This home features a grand living room, which during the 60's,70's & 80's and when music legend Clive Davis was in residence hosted many events with some of the most celebrated musicians and celebrities of our time. This home has a beautiful corner master suite with stunning park views. 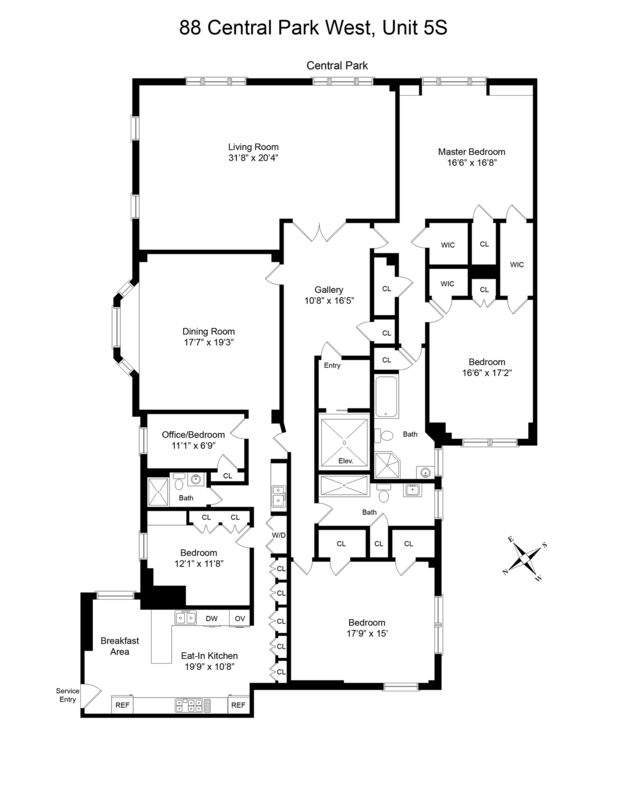 There are four bedrooms, three bathrooms, an office, grand formal dining room, private elevator landing to a 16 foot wide entry gallery, and a chef's kitchen with breakfast area with stunning park views. The Brentmore attracts some of New York's most talented and well-known celebrities with many still in residence. There is a certain magic atmosphere and ambiance to 88 Central Park West that draws these incredible personalities and talents to this building. This is truly one of New York's most irreplaceable buildings to reside in.